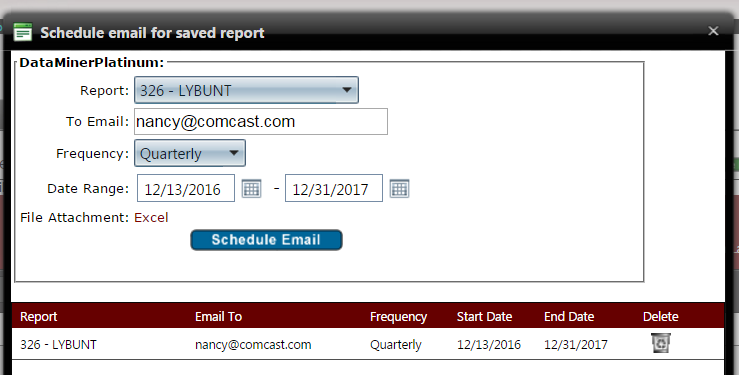 Once you have created a DataMiner Platinum report, schedule this report to be emailed. Once an email has been scheduled, it will appear in the bottom of the page; the most recent schedule at the top. Delete the schedule if needed, with the Delete (trash can icon) to the Right of the list.